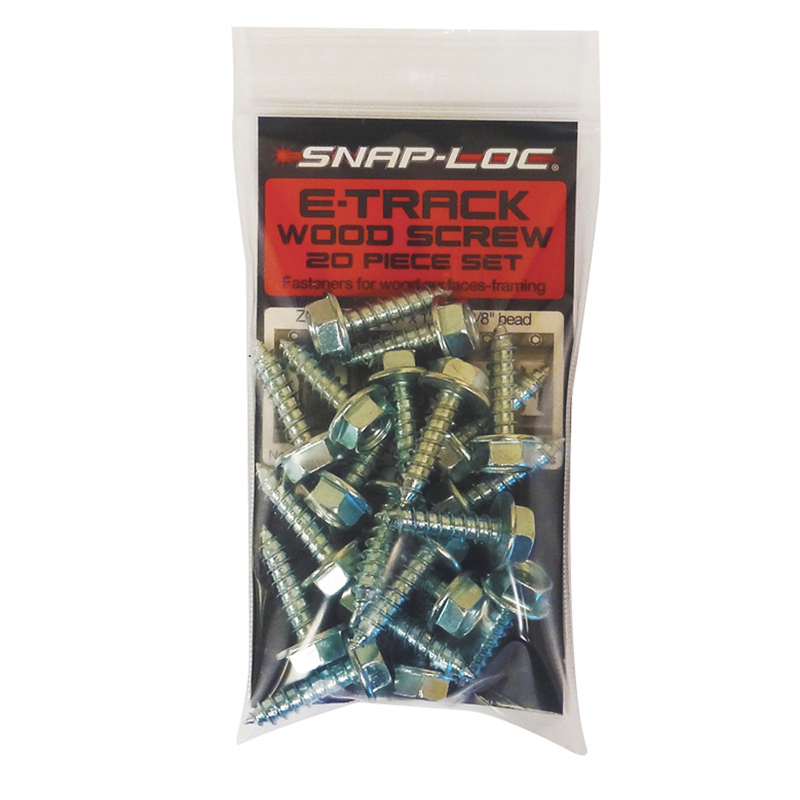 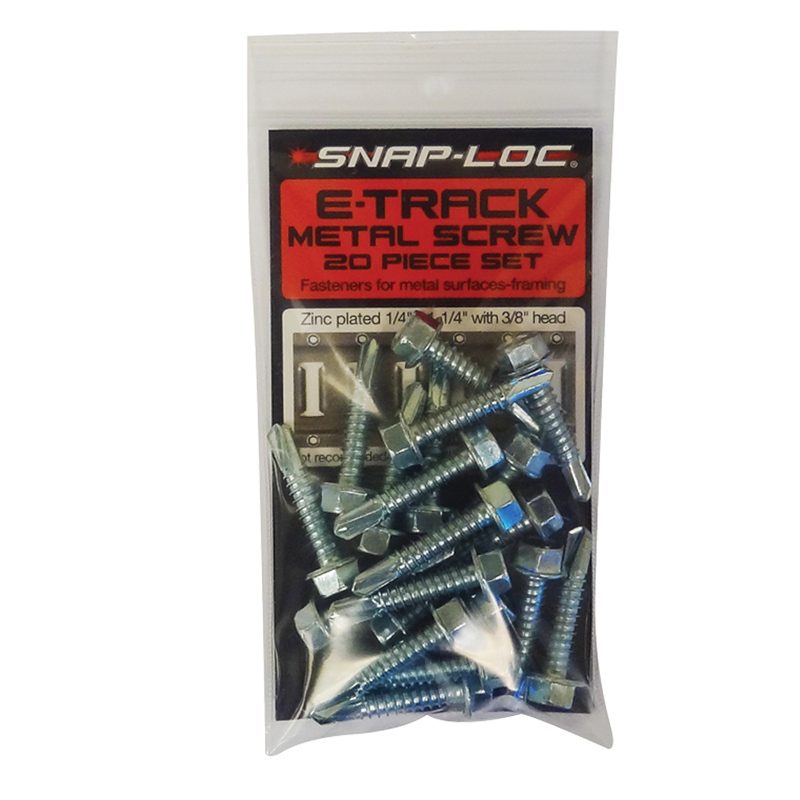 Fastener types also sold with SNAPLOCS packs. 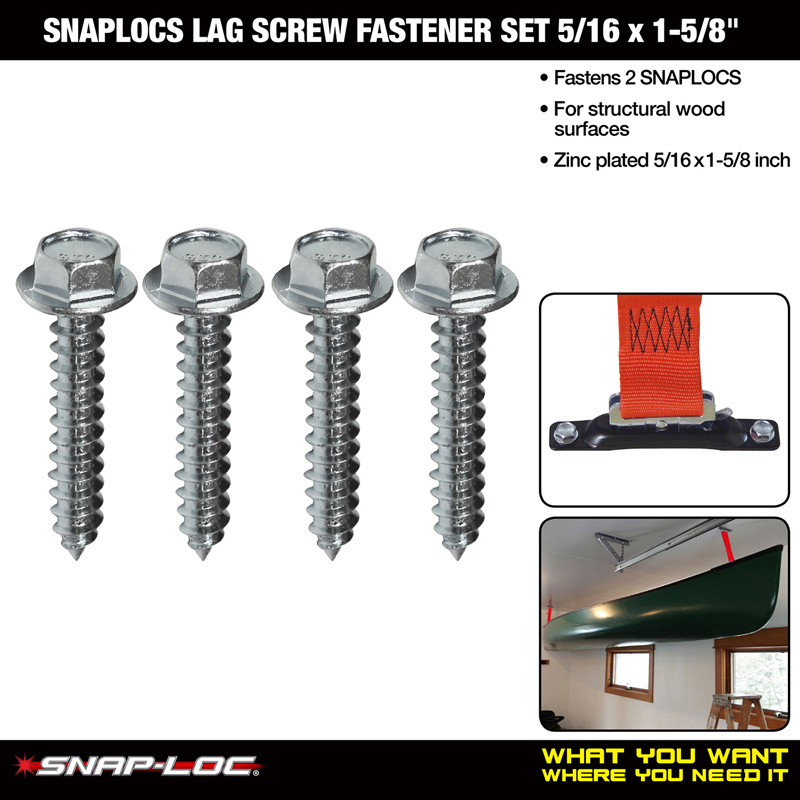 Our Fastener Set options give you"What You Want" and "Where You Need It"choices with super duty long lasting zinc plated finishes. 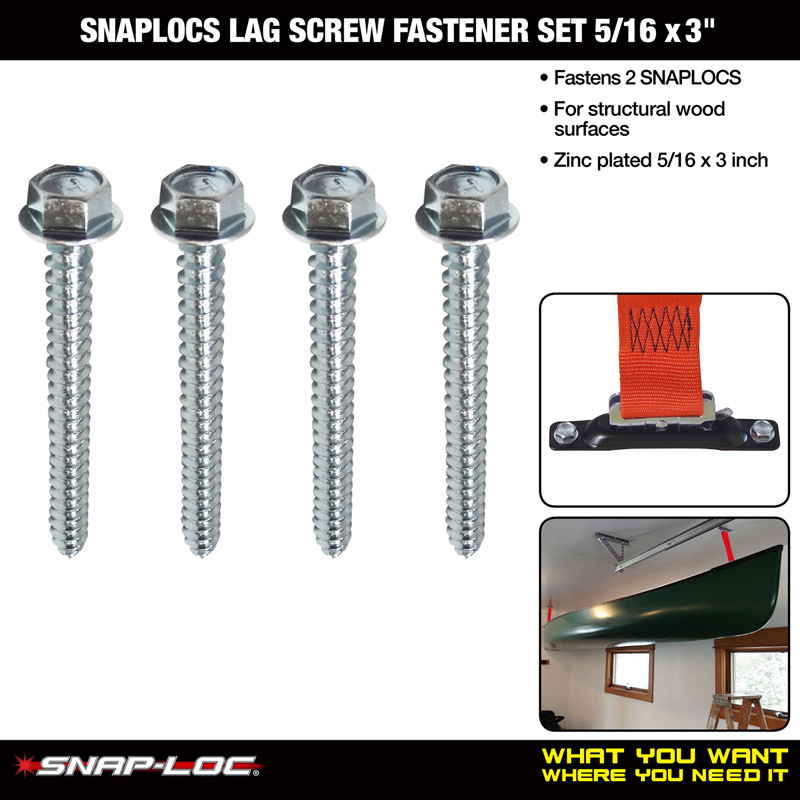 We strongly recommend using our heavy duty 5/16 inch tested fasteners for the safest choice to attach "SNAPLOCS E-Track Singles" to structural metal framing, structural wood framing and a variety of other surfaces. 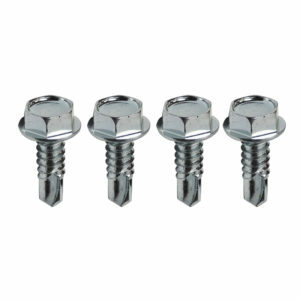 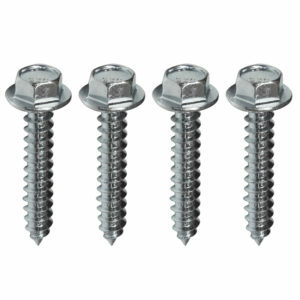 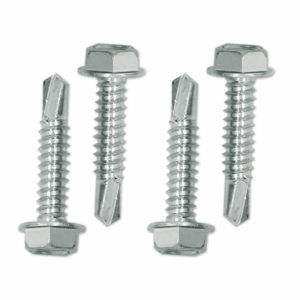 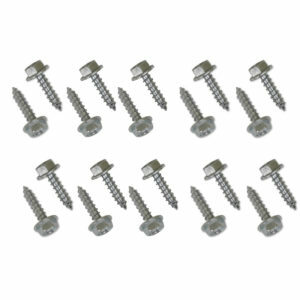 Super strong zinc plated fasteners. 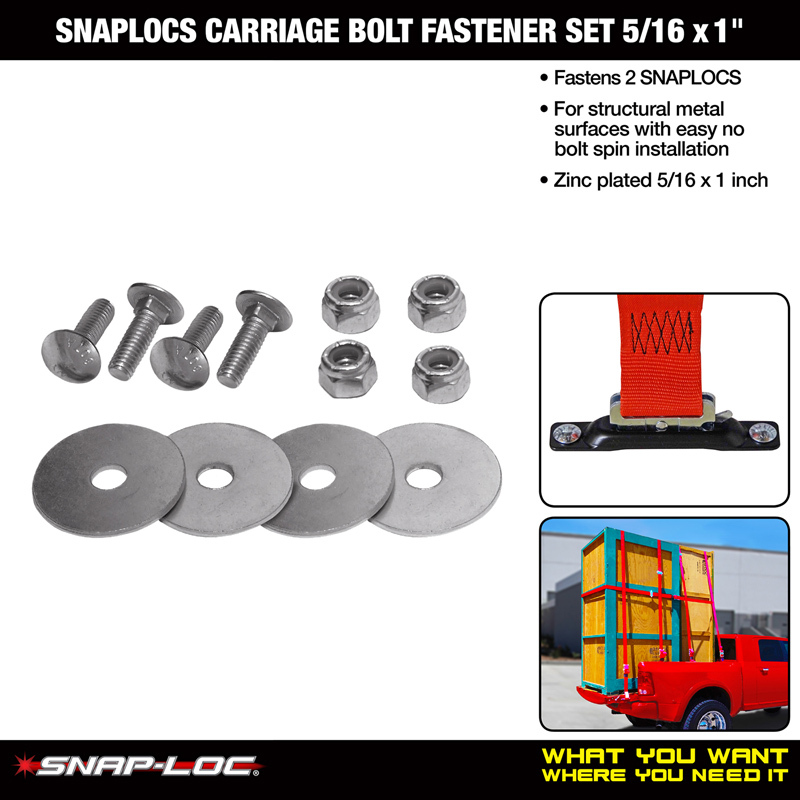 5/16" designed special for installing SNAPLOCS. 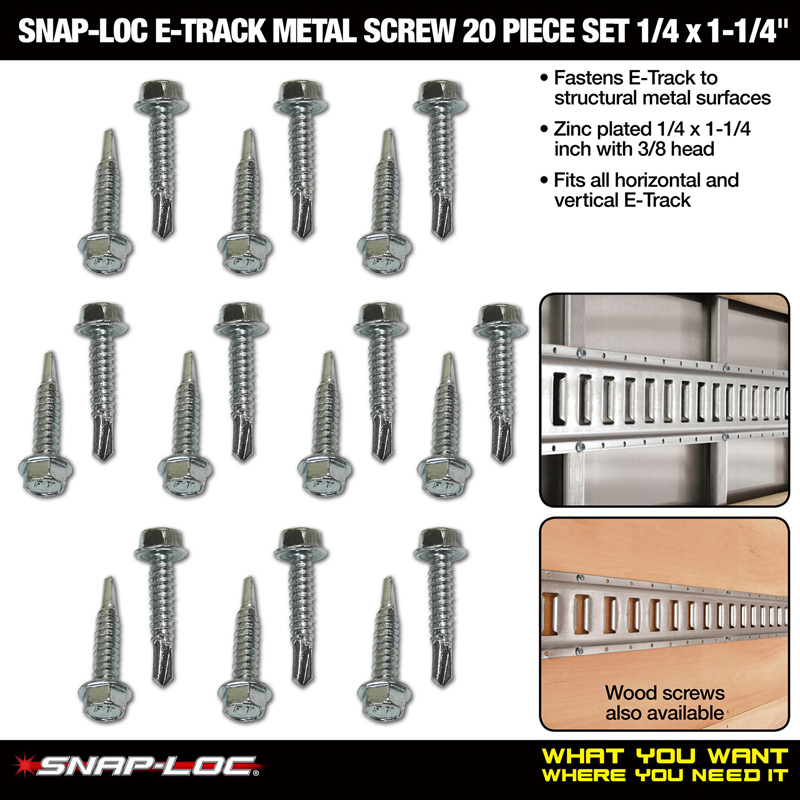 Available in a variety of lengths and styles. 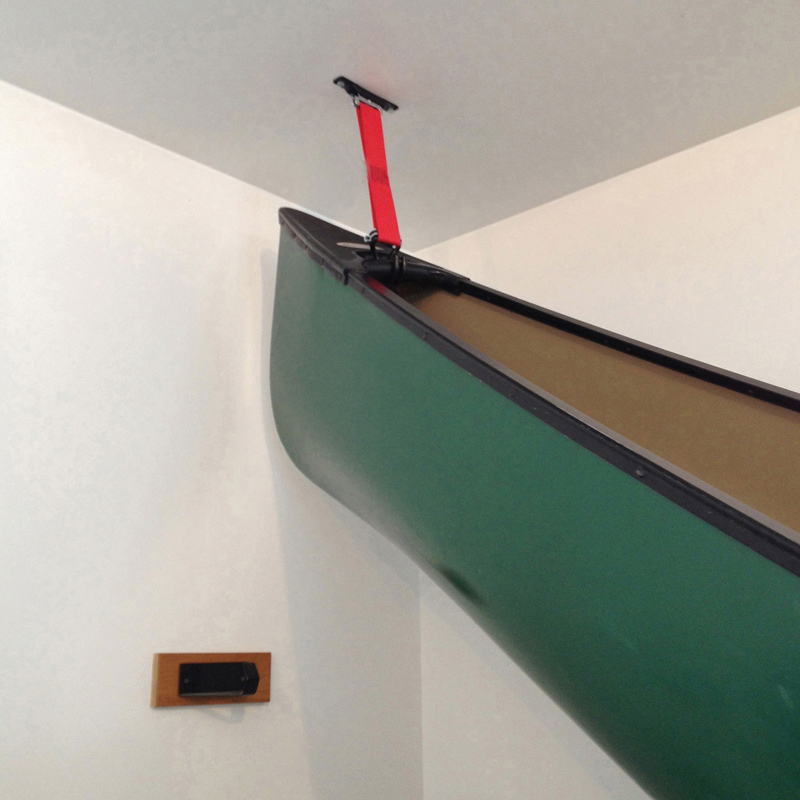 Fasten to wood, metal and through surfaces. 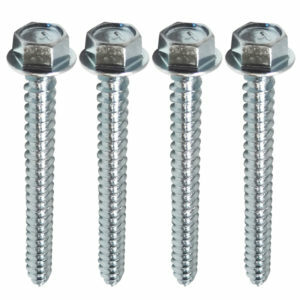 Allen Screws with button head for that custom look and tapped hole surface mounting. 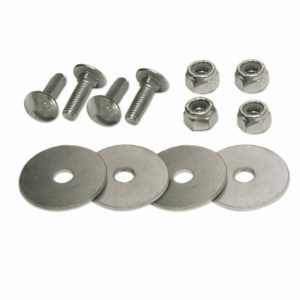 Carriage Bolts for easy no spin installation. 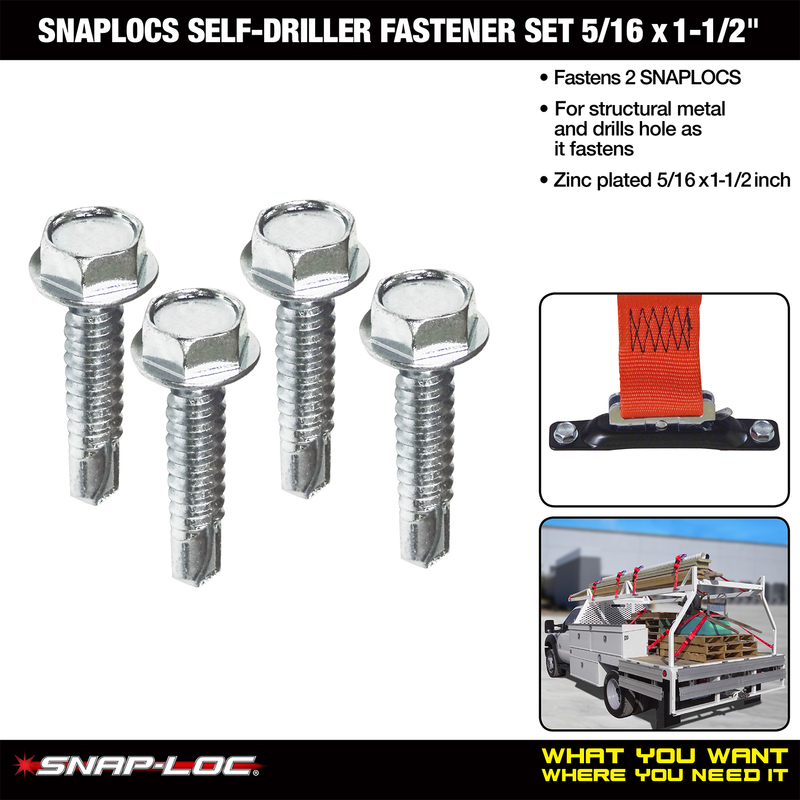 Self-Drillers are extra heavy duty to drill through thick metal. 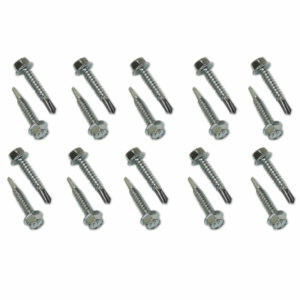 Lag Screws for wood framing. 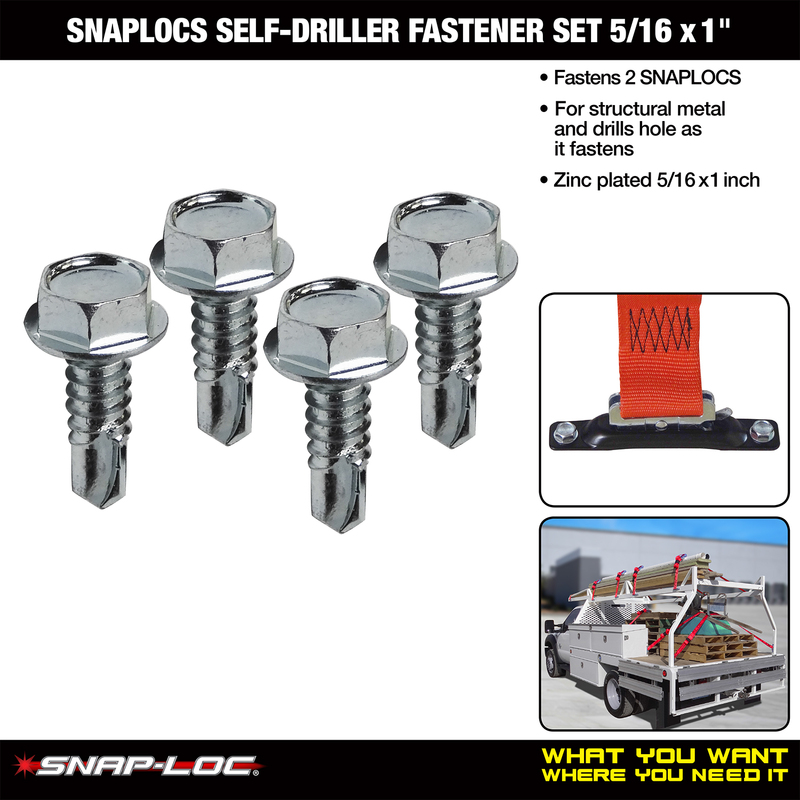 Built-in washer heads to keep wrenches/sockets from scratching the finish of SNAPLOCS. 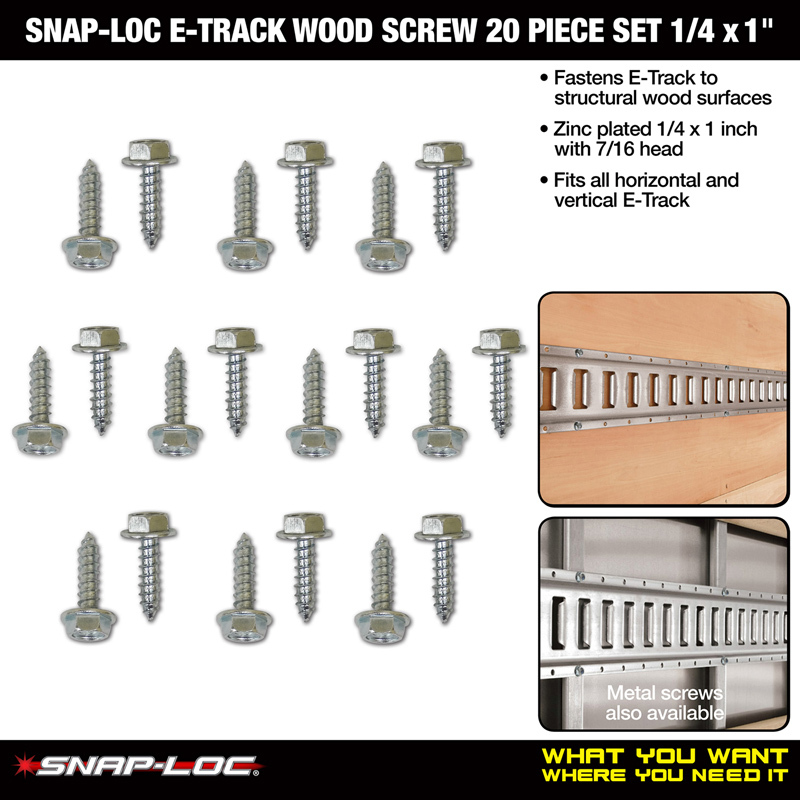 E-Track 20 pc Sets for installing traditional E-Track.